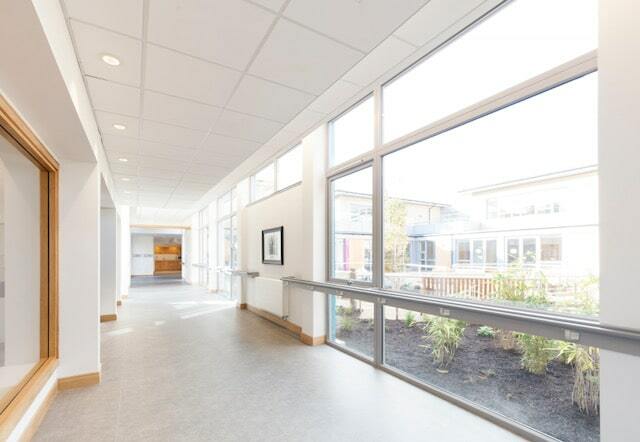 We were delighted to be working with CCG (Scotland) on the purpose built Day Care Centre and Care Home, for Scottish War Blinded and their sister charity, the Royal Blind. 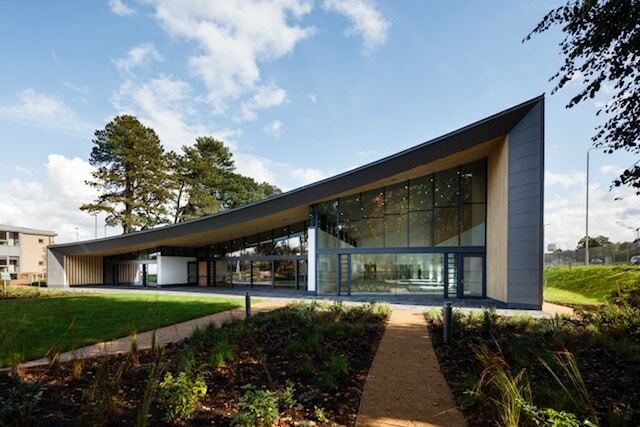 The £5.5 million visually stunning Day Care Centre, constructed on one level, was designed by Page and Park Architects, with the £12.5 million two storey Care Home being designed by Unum Partnership. 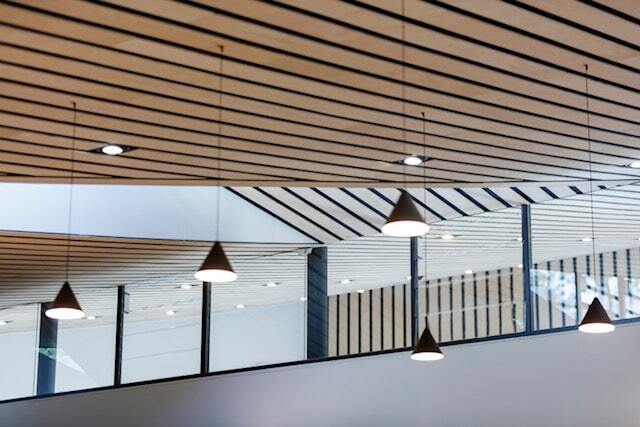 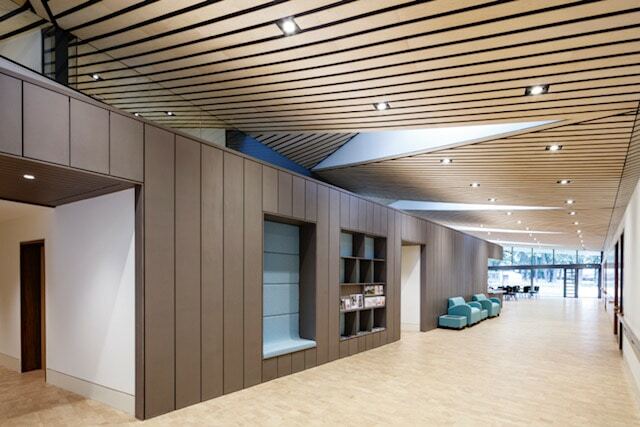 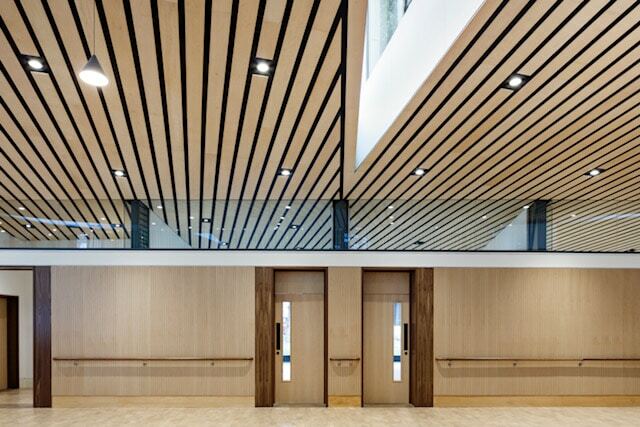 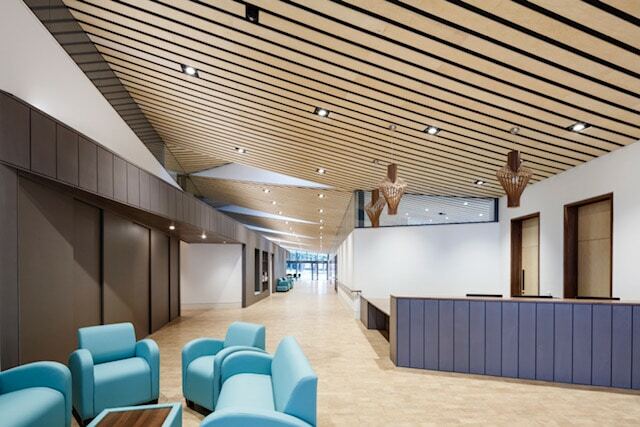 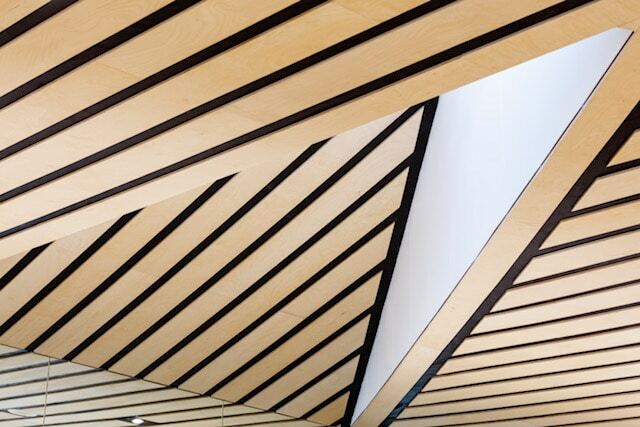 The Day Care Centre showcases our bespoke ceiling, consisting of 1,500m2 of birch faced plywood planks, installed to a 150 metre radius, following the curve of the steel roof structure. 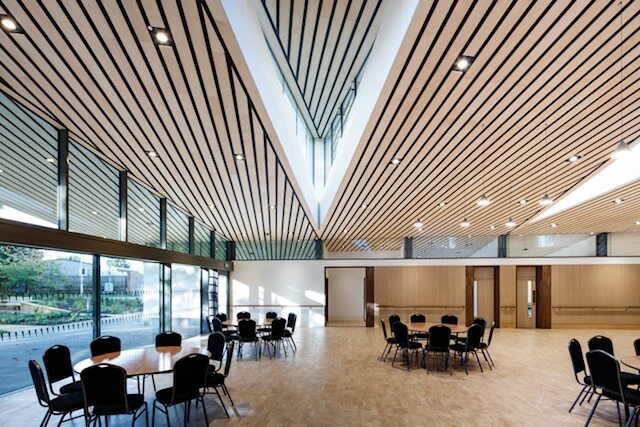 The installation utilised Armstrong World Industry’s DGS facetted framework system, insulation was installed above the planks, hidden by a black acoustic fabric, which enhanced the completed finish. 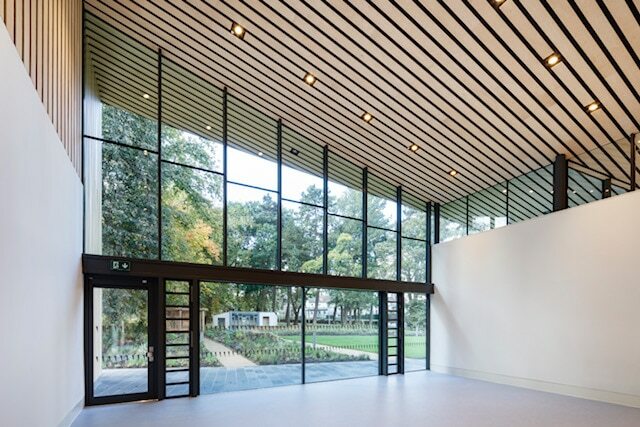 This very challenging project required careful pre-planning, with the highest attention to detail and accuracy in the setting out phase. 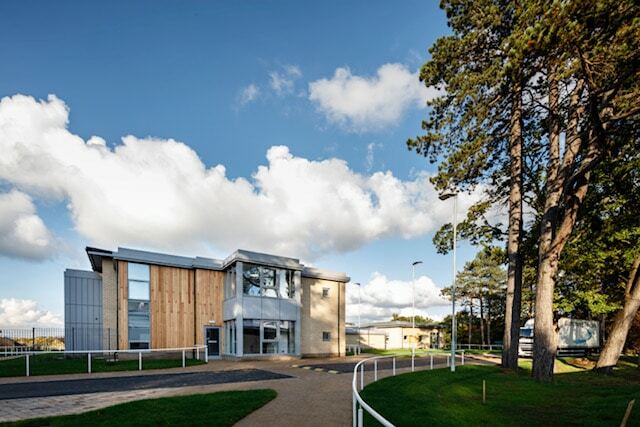 We were also required to work closely with the architects during the design phase as approval of the installation was required by a structural engineer, to confirm ‘wind loadings’ for the external areas. 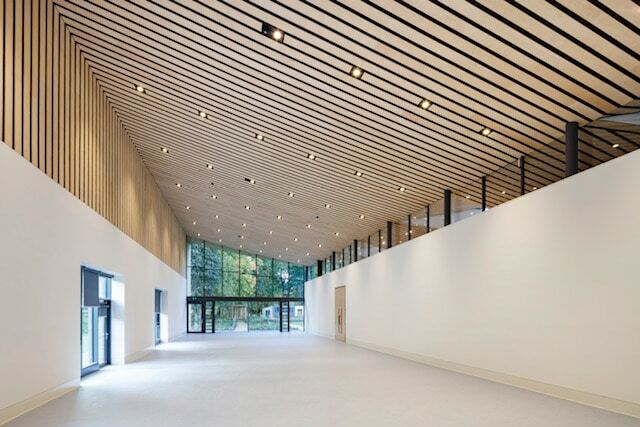 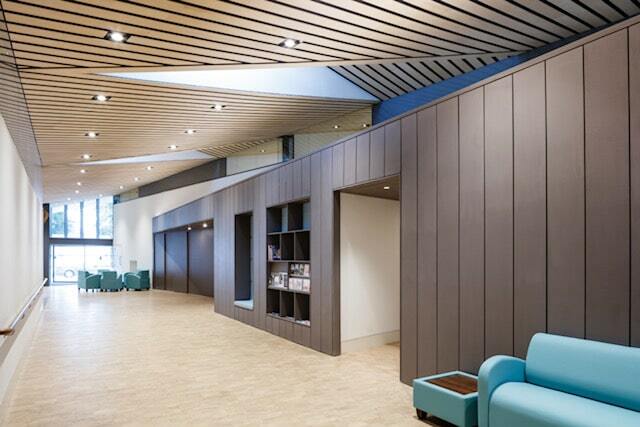 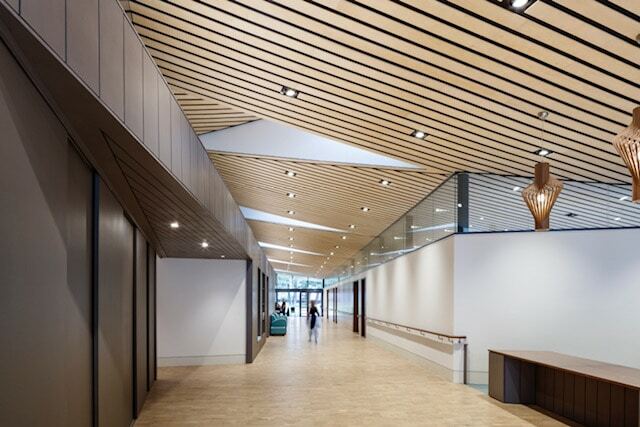 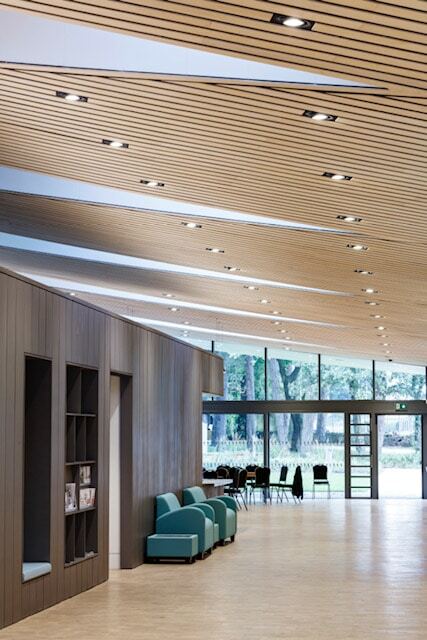 The ‘curved wood’ ceiling planks, are a striking feature of the centre, as they are installed both internally and externally giving the appearance of ‘running through’ the external glazing, complementing the impressive looks of the finished building. 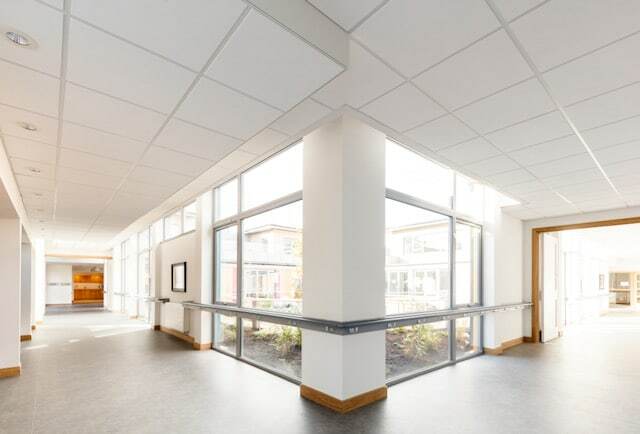 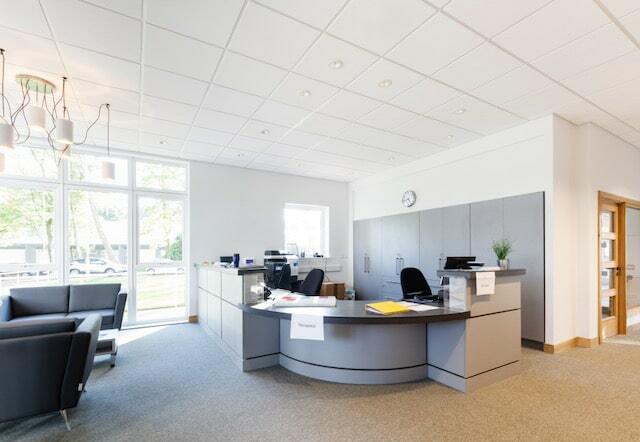 We also supplied and installed a variety of Armstrong ceiling tiles, including Perla, Dune Max and Ultima, covering an area of over 1600m2 in the Care Home.